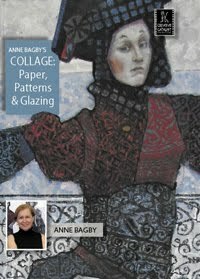 Anne Bagby was just at our studios filming her second DVD workshop, and while she showed us a bunch of really cool new techniques, I began thinking about what I could do with the ones she taught in her first DVD at Creative Catalyst Productions, "Paper, Patterns, and Glazing." This is a take on her complicated paper. 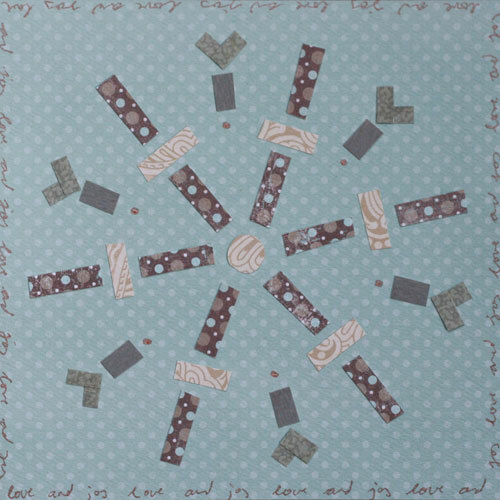 The technique is fantastic within serious collage work and also excellent for an afternoon of holiday fun. 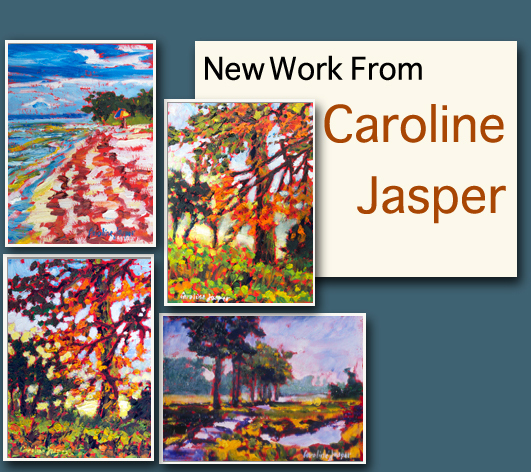 Caroline Jasper has new work just in time for the holidays. I learned a lot from her time here with us at Creative Catalyst Productions and even more while I edited her video, "Color Moves: Painting Water with Oil." Her DVD was the first one that introduced me to colored grounds. 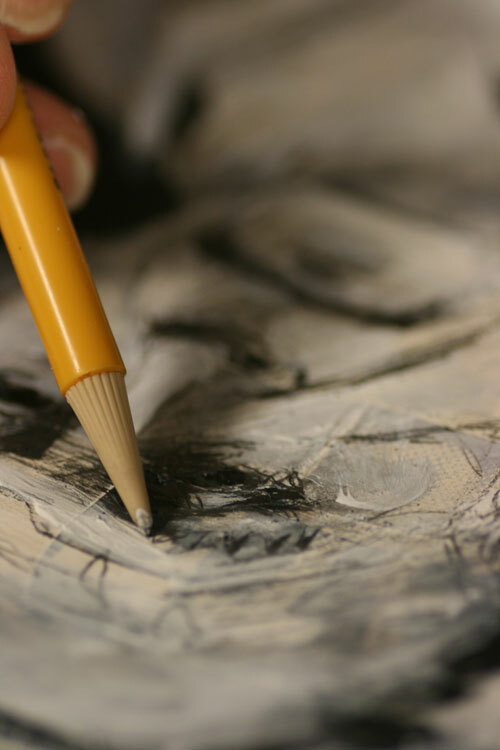 Caroline will start her oil paintings on a bright red or bright orange gessoed background. She then builds her color from there. You can see traces of the original background in the luminescent lines around trees or edges of boats in water. I really love her work. *But thank goodness Anne was TOTALLY (totally) nice about it. 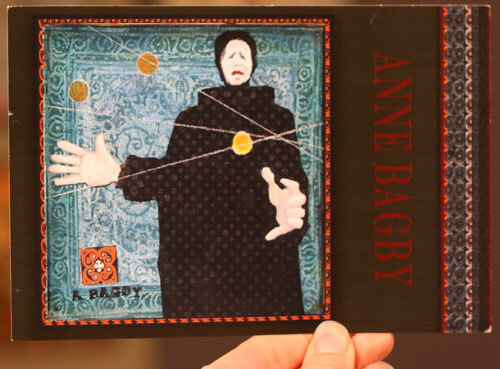 Anne Bagby has taken a lot of workshops from great artists. One, Alex Powers, told her class that it takes 10 years of painting to start creating original work. Most of the class found it discouraging but not Anne. I'm with Anne. To be able to start creating original work in only 10 years, well, that sounds like a cosmic deal. Ten years we can do. We leave Creative Catalyst Productions in about an hour to drive to the airport and meet Anne Bagby. The studio is prepped. The cameras are ready. The cats can't wait to meet a new human and we're all really excited. I've been in love with Anne's work since we have the opportunity to film her last DVD workshop, "Paper, Patterns, and Glazing"and am unbelievably happy that we have the opportunity to spend even more time with her for this second DVD. I have always been a serious fan of card making. Not only do you get to do something creative but you get to send that piece to someone you love. All around fantastic. At work, Creative Catalyst Productions, we're asking our newsletter subscribers and blog readers to send us images of the cards they make. My Halloween cards fell apart this year so I'm excited to try and create something for Thanksgiving or Christmas.